Sergei Zhukov woke up with a start last Wednesday. First he heard his daughter’s loud coughing, then he registered the smell. He rushed his eight-year-old to the hospital. “I immediately knew what it was,” the sales manager and activist recounted. Throughout Volokolamsk, a small town 100 kilometers outside Moscow, dozens of other families were rocked by the same emergency. Over the course of the day, more than one hundred children sought treatment. They all cited that same noxious gas that residents said left them feeling dizzy, nauseous and, in some cases, covered in rashes. 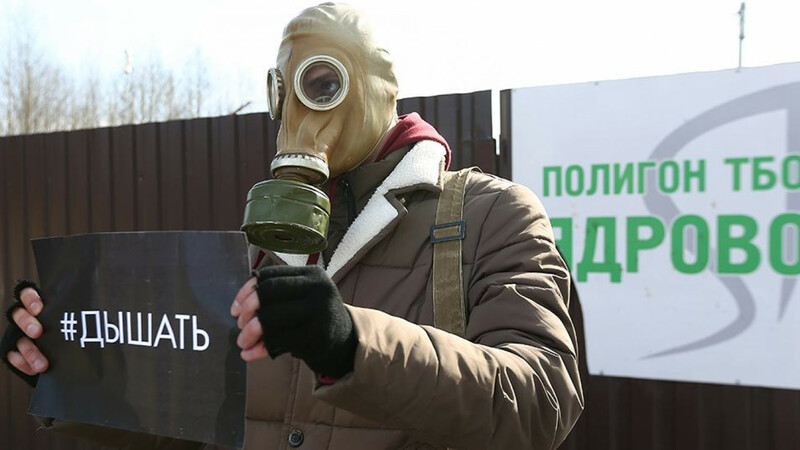 Residents have been protesting the nearby Yadrovo landfill, the source of the potent gases, for more than a year, demanding that it be shut down. After children were acutely affected last week, their frustration boiled over and protests exploded into violence directed at regional officials. According to local activists, the town’s problems began two years ago and have grown as the Yadrovo dump is increasingly overburdened with waste. It now regularly leaks gases that, according to local officials, resulted in abnormal levels of nitric oxide and hydrogen sulfide earlier this month. Many point to the June 2017 closure of the Kuchino landfill in Balashikha, another Moscow region town, as the reason the Yadrovo landfill has become so overburdened. The Kuchino dump was closed on the orders of President Vladimir Putin after nearby residents called into his Direct Line, an annual nationally televised Q&A, to complain. The region’s landfills, which also accommodate the capital’s waste, are becoming increasingly strained. Since 2013, 24 of the region’s 39 landfills have been shut down. According to Sergei Polyakov, a political analyst specializing in the Moscow region, landfills are a lucrative business and interested parties have been fighting to monopolize the industry. It is also why, he said, authorities have been ignoring residents’ demands for modernized waste processing systems. “There are now only 15 landfills left to accommodate the 12 million tons that the 25 million people of Moscow and the Moscow region produce each year,” explained Nikolai Dizhur, a municipal council deputy of the Moscow region town of Chekhov, who led a hunger strike against the landfill in his town last year. Other towns in the Moscow region have suffered, too. In addition to Volokolamsk, this month saw protests in Naro-Fominsk, Klin, Balashikha, Troitsk, Kolomna and Sergiyev Posad over landfills. 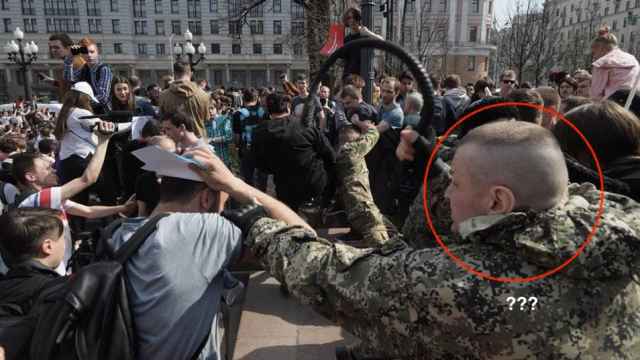 But for Polyakov, the protests speak to a deeper issue: local governance. He points to 2015, when Moscow region governor Andrei Vorobyov triggered a series of reforms that incorporated towns into larger districts governed by his appointees. On Friday morning, mayor Pyotr Lazаrev was in front of the town’s administration building speaking with activists and journalists about what steps to take next to get the landfill shuttered. Lazarev is from Volokolamsk, was voted into office in 2016 by the town’s residents and has spent the past year working with activists to close the dump. But residents who are falling ill or seeing family members hospitalized say that they do not have time and that political commotion is their only solution. At the town’s main hospital, doctors hurried to and fro to accommodate the dozens of parents and children waiting for consultations. 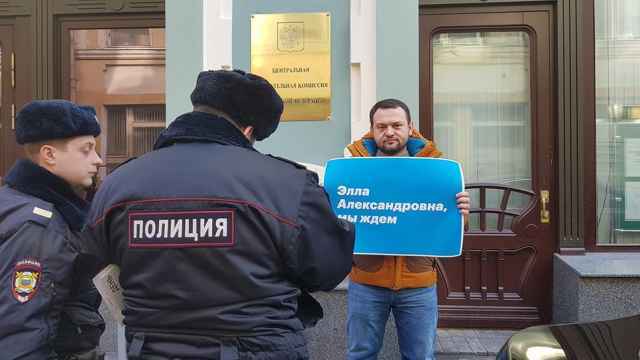 Perhaps seeing that some change was needed to pacify protesters, later on Friday Vorobyov announced that the municipal district head Yevgeny Gavrilov had been fired and was replaced by another outside appointee who quickly said that he would take a strong stance against the landfill. But on Friday night, Zhukov brushed off the change as more of the same.